Quincy Jones has been a session musician, composer, producer, arranger, composer and record company executive. This is an across the board compilation featuring some of the best tracks he has been involved in. He employs various instrumentalists and vocalists to deliver a varied batch of songs. Genres include the disco of "Ai No Corrida"; the sweet soul of "Stuff Like That", "Velas" and "Somethin' Special"; the Michael Jackson-ish dance of Rod Temperton's "Turn On The Action"; the late night jazz groove of "Oh Happy Day". There is also the turn-down-the lights smoochy beauty of "I'm Gonna Miss You In The Morning", with its addictive percussion sound and seductive vocal and funky wah-wah guitar. "There's A Train Leavin'" is a massive, soul thumper with lots of "get on the love train" lyrics. "Smackwater Jack" has an infectious, jazzy soul intro, some killer harmonica and a real down 'n' dirty feel with some Bill Withers-style vocals. "The Dude" is a massive, funky soul ballad and some great Parliament-style funky rap vocals. "Cry Baby" is also a solid piece of funk. "Turn On The Action", "Love, I Never Had It So Good" and "Betcha Wouldn't Hurt Me" are all eighties-style quality disco tracks. "Cast Your Fate To The Wind" is a truly intoxicating jazzy instrumental, with some great jazz guitar and piano. There is all sorts of stuff on here - soul jazz, disco, rap, funk. 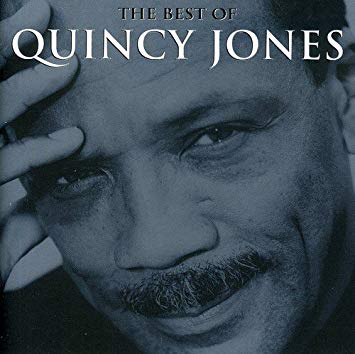 Proof of Quincy Jones' wide musical experience over many years. It is no ground-breaking compilation but stick it on for a quick half hour or so every now and again and it provides enjoyment. Probably better would have been to include stuff he produced for other artists, such as Michael Jackson, but that would bring about copyright problems I guess.